Very nice atmosphere. And great people that work there. Dirty smoke areas. Not very big either. Everything was very clean and the beds were comfortable. Taking a trip to Seneca Lake? Would you like to book a room just a short drive from the downtown area of Waterloo? Within easy driving distance from central Waterloo you'll discover 5 Expedia-recommended hotel options you can choose from. The The Gridley Inn is amongst the most conveniently situated options as it is one of only a few options within walking distance of the Waterloo center. 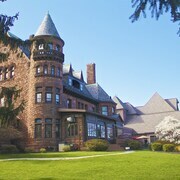 You could investigate the Finger Lakes Bed and Breakfast as well as the Hampton Inn Seneca Falls. 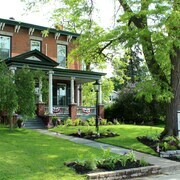 The Finger Lakes Bed and Breakfast can be found 30 kilometres (20 miles) from the center of Waterloo. 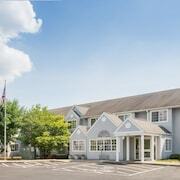 The Hampton Inn Seneca Falls, is positioned 4 kilometres (2 miles) away. 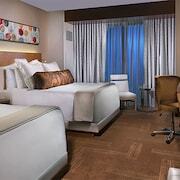 More places to stay here are the Ramada Geneva Lakefront and the Hampton Inn Geneva. Why not broaden your horizons and discover the many other attractions to be found in Finger Lakes Region while you are in the region? Nature lovers will love Finger Lakes Region's lakes. In addition you could head to a selection of its craft workshops and open-air markets. In this section of United States of America visitors might partake in cross-country skiing and hiking. 7 kilometres (4 miles) to the east of Waterloo you will find Seneca Falls, where you'll find New York Chiropractic College and Cayuga Lake State Park. 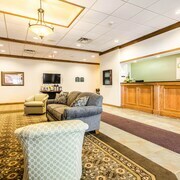 Should you wish to stay in Seneca Falls, be sure to check out the The Gould Hotel and Holiday Inn Waterloo - Seneca Falls. 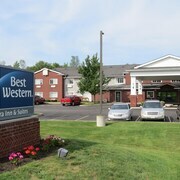 30 kilometres (19 miles) to the southwest of Waterloo, you can also stay at Penn Yan, which is home to the Best Western Plus Vineyard Inn & Suites and Microtel Inn & Suites Penn Yan Finger Lakes Region. While in Penn Yan, set aside some time to check out the Torrey Ridge Winery and Prejean Winery. If you are into sports and love watching games you might choose to make a trip to Carrier Dome, which is 60 kilometres (38 miles) to the east of Waterloo. For visitors who are interested in booking accommodation nearby, make a reservation in the Sheraton Syracuse University Hotel & Conference Center or Residence Inn Syracuse Downtown At Armory Square. Situated 60 kilometres (36 miles) from Waterloo is Tompkins Regional Airport. 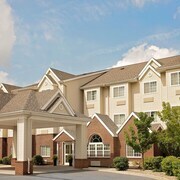 Stay nearby at The Statler Hotel at Cornell University or Courtyard by Marriott Ithaca Airport/University.